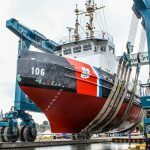 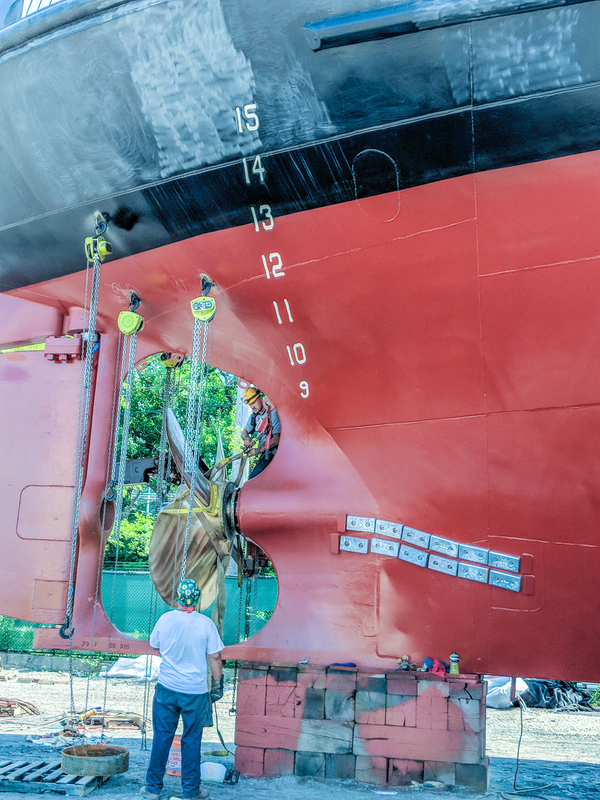 United States Coast Guard Cutter CGC MORRO BAY (WTGB-106) arrived at Great Lakes Shipyard for drydocking, inspection, maintenance, and repair work in May 2018. 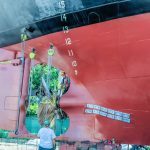 The contract includes hull, propulsion and steering system inspections, as well as steel repairs, hull cleaning and painting. 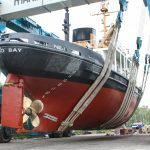 The vessel was hauled out using the Travelift. 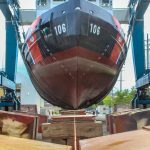 Upon completion of all work in late September, the MORRO BAY was launched is now back in service. 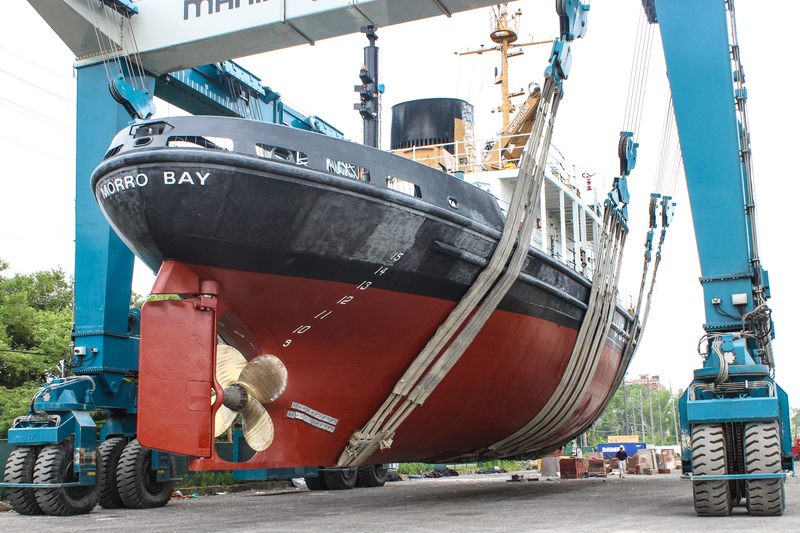 CGC MORRO BAY (WTGB-106) is a 140 foot Bay Class Icebreaking Tug homeported in Cleveland, OH. 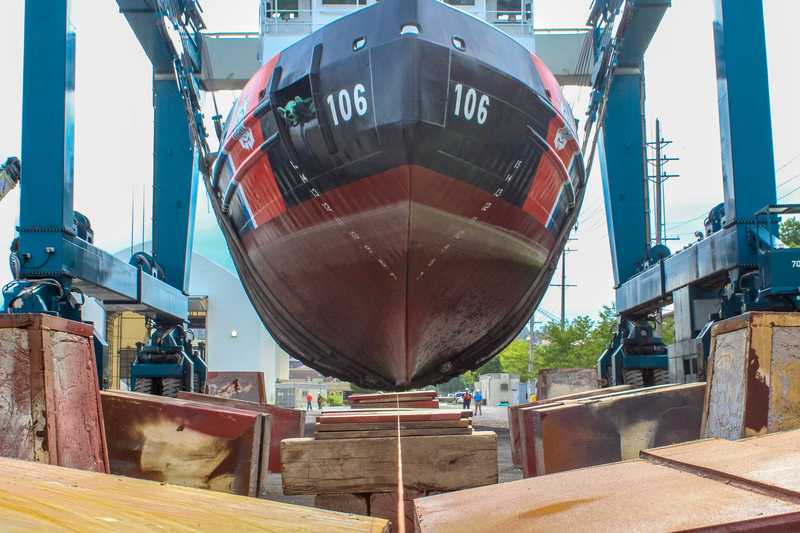 Unit missions include Icebreaking, Homeland Security, Light House projects, Law Enforcement, and Public Affairs. 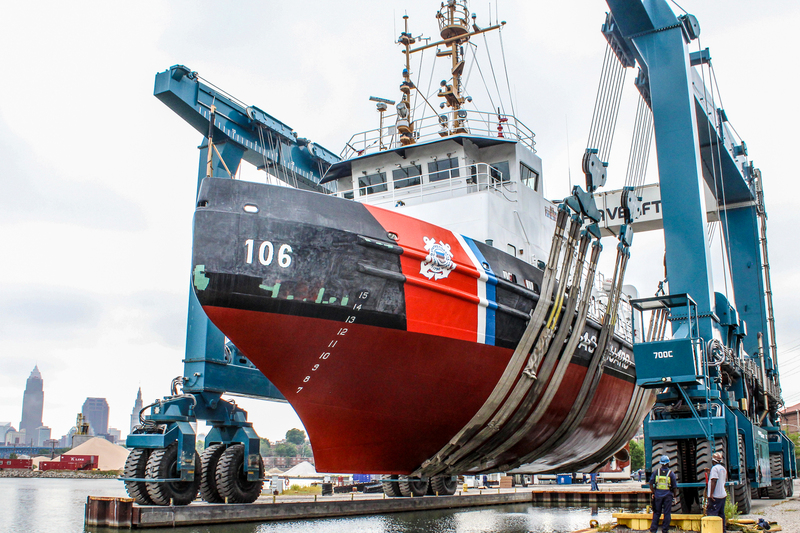 For more information on the cutter, the Coast Guard’s Ninth District, and more, visit their website.